Should we search for extraterrestrial intelligence? We are bombarded by influences which seem to give credibility to the Search for Extraterrestrial Intelligence (SETI). Front covers of popular magazines proclaim such captions as: ‘New search for life in space’,1 and ‘Alien worlds: The search heats up’.2 Blockbuster movies like Close Encounters and E.T., with their dazzling special effects, also fuel imaginations and give further credence to the idea that there may really be someone (or something) out there trying to make contact. With all the hype, it’ tempting even for Christians to jump on the SETI bandwagon. Certainly we need answers to life’ questions. But waiting for, as Clarke suggests, an Encyclopedia Galactica from outer-space aliens is quite unnecessary, as God has already given us an Encyclopedia Biblica right here on earth. The Bible, God’ Word, does contain the answers to questions philosophers and scientists have been asking for centuries. From God’ ‘Encyclopedia’, we learn of man’ origin, his separation from God because of sin, and his need for forgiveness. God’ ‘Encyclopedia’ also tells us of His love by sending His Son, Jesus Christ, to pay the penalty for man’ sin (which is his biggest problem). Because of man’ rebellion against his Creator, however, this message is rejected (1 Corinthians 1:18; Romans 1:18-21). So, he searches elsewhere for answers — even from imagined alien civilizations. This is especially unfortunate because everything man longs for through contact with extraterres trials has already been provided for him through Jesus, whom he rejects. Man longs for peace, but refuses to accept the Prince of Peace (Isaiah 9:6). He wants to see where he is going, but ignores the Light of the world (John 8:12). He seeks solutions to life’ problems, but fails to see the source of those problems — sin — and rejects its remedy which lasts for eternity (1 John 5:11-13). Man spends millions of dollars hoping to catch a few meaningful beeps from outer space, yet dismisses the ‘gift of God’ (Romans 6:23), through which he can tap into God’ infinite wisdom and knowledge (Proverbs 1:7; 1 Corinthians 2:10-16; James 1:5). Astronomer Carl Sagan, in his Cosmos series, boasts of mankind’ ingenuity in constructing the giant radio telescope used to search for alien signals. The Apostle Paul, however, presents a different opinion of mankind: ‘Professing themselves to be wise, they became fools’ (Romans 1:22). The idea that other civilizations exist in outer space is based on evolutionary assumptions. Since, it is reasoned, life evolved on earth, it must have evolved in other regions of the universe as well, because the universe is so large.5 Such reasoning is faulty, though, because evolution does not have any biblical or true scientific basis to begin with. ‘For God so loved the world, that he gave his only begotten Son, that whosoever believeth in him should not perish, but have everlasting life’ (John 3:16). Popular Science, October 1984, front cover. 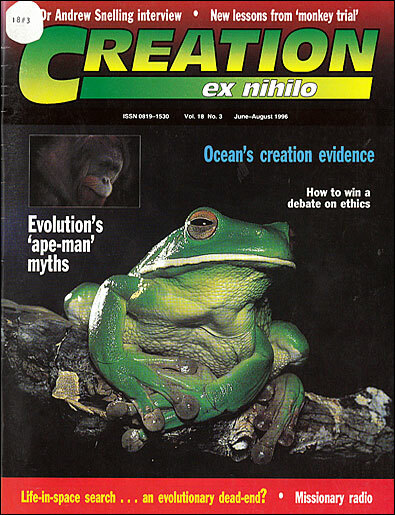 Discover, October 1987, front cover. Arthur C. Clarke, ‘Why is it Important?’, Life, September 1992, p. 68. Arthur Fisher, ‘New Search for Life in Space’, Popular Science, October 1984, p. 55. William Oldendorf, ‘Should We Seek Out Alien Life?’, Science Digest, November 1984, p. 94. Mars (right) was long favoured by science fiction writers as a planet with life. Little green men from Mars often featured in stories as the enemies of Earth. When space probes landed on Mars, however, they found a desert landscape devoid of life. The Jet Propulsion Laboratory in California studied the feasibility of an ion-thruster vehicle as a forerunner of a starship. Called the TAU (Thousand Astronomical Unit) mission, its aim was to carry instruments to the edges of interstellar space. Even travelling at 105 kilometres per second, it would take more than 10,000 years to reach our nearest star. The obstacles in travelling the enormous distances in space are huge, so the prospect that Earth has been, or is now being, visited by extraterrestrials is highly unlikely. Evolutionists claim that Earth is not particularly special and that life on it is simply the result of purposeless evolution. But the Bible contradicts this, for it tells us God created us, and that He thought so much of us that He sent His Son, Jesus Christ, to die for the sins of the world and then rise from the dead to show He can conquer even death. If an orderly pattern of radio signals from outer space were detected, it would eagerly be interpreted as evidence of intelligence ‘out there’. Yet we have on earth the most ordered pattern of matter in living things, which is seen by evolutionists to be a product of natural processes, not of the intelligence of the Creator. This shows a wilful blindness within the SETI program. 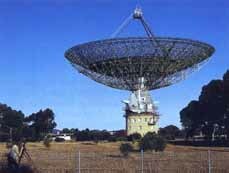 Proof of intelligent life in space seemed to be found last year when SETI workers at Parkes Observatory in Australia picked up regular signals. Every evening around dinner time, researchers found a distinctive radio signal at 2.3 to 2.4 gigahertz. But the excitement over finding life in space was premature. The team finally discovered that the signals coincided with the staff’ use of a downstairs microwave oven to cook their meals! In another SETI incident, some promising signals thought to be from extraterrestrial intelligence turned out to be coming from man-made satellites. 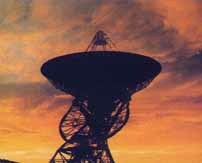 Peter Backus, of the SETI Institute, was quoted in New Scientist (20 January, 1996) as saying that the signals detected by SETI last year ‘were all coming from our own technology’.